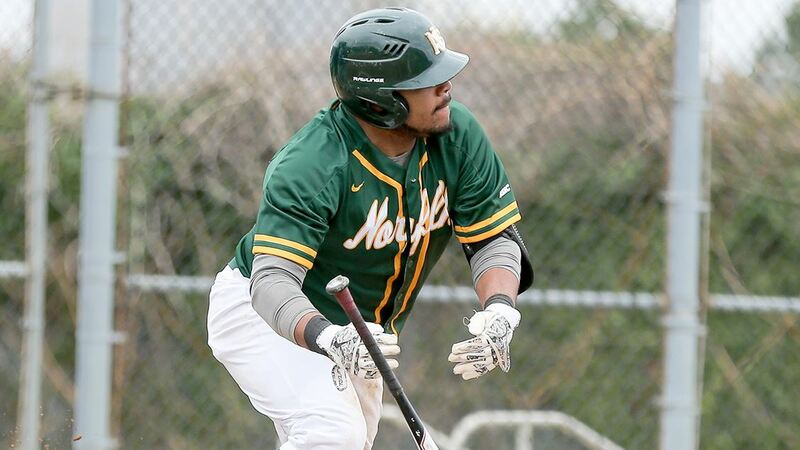 Norfolk State put up numbers its baseball squad hasn’t done since back in its CIAA days. NORFOLK, Va. – The Norfolk State baseball team’s offense put on a show Friday night, setting a new school record for runs scored in a doubleheader when the Spartans swept a pair of games from Maryland Eastern Shore by scores of 20-4 and 24-5. Friday marked the first time in NSU’s Division I history and just the second time ever that NSU has scored 20+ runs in consecutive games. The Spartans scored 22 and 23 runs, respectively, in wins over Virginia State and Bowie State in 1995. The Spartans (13-18 overall, 9-5 MEAC North) scored in all 12 innings in which they batted on the day. Both games were scheduled for nine innings, but shortened to seven due to the 10-run rule. NSU scored 20 runs on 23 hits in game one and added 24 runs and 23 more hits in game two. The last time a Spartan team had more hits came on April 11, 2011, when the Spartans posted a school record-tying 25 in a win over Coppin State. NSU hadn’t scored 20 runs in a game since March 26, 2016, a 20-7 win over Maryland Eastern Shore. he offensive standouts for NSU were numerous. Caleb Ward drove in seven runs on 4-for-5 batting in the doubleheader. He drove in six runs in game one and hit a solo homer in game two. Alsander Womack went a combined 7-for-10 with six RBIs, while Justin Hayes, Brandon Crosby and Adam Collins all posted five hits on the day. Stephen Baughan had four, including a solo homer in game two, and Jaran Davis went a perfect 4-for-4 to set a new career high in hits in the nightcap. Both starting catchers, Kam Holland in the opener and Ty Hanchey in the nightcap, also posted two-hit games. In game one, NSU scored in all six of its innings at bat, and plated at least two runs in five of those frames. Womack’s RBI single started the scoring in a two-run first. The Spartans tacked on three more in the second, two coming on a deep sacrifice fly with the bases loaded off the bat of Ward. Four runs came plateward in the third, thanks in part to consecutive RBI triples by Hayes and Ward and a run-scoring double by Baughan. Ward doubled in three more runs and scored on a Womack RBI single in a six-run fourth. Collins tripled in two runs in the sixth, and Crosby and Mikey Delgado both added RBI singles. Chase Anderson was the beneficiary of the robust run support. He pitched all seven innings for his first complete game of the year. Anderson struck out eight and allowed just five hits and three earned runs. Game two started much the same way the first ended. Ward lofted a solo homer to left-center in the bottom of the first. The Spartans then erupted for seven runs in the second. Crosby started the outburst with an RBI triple, Hanchey drove in a run on a grounder and Davis also knocked in a run with an infield hit. The big blow in the inning was Womack’s bases-clearing, three-run double, and Collins made it 8-0 with an RBI single. Delgado posted RBI singles in the third and sixth innings. Hanchey drove in a career-high four runs, three coming on a bases-loaded triple in a four-run fourth inning. The Hawks were resilient, scoring two in the fifth and three more in the sixth to cut their deficit to 14-5. But NSU saved its biggest inning for last, scoring 10 runs in the bottom of the sixth to again invoke the 10-run rule. NSU recorded nine hits in the inning and sent 16 men to the plate. Baughan, Womack, Collins, Delgado, Nick Wimmers and Dionte Brownall had RBI singles in the inning. Ridge Walker (3-6) got the win in game two. He allowed just two hits and one earned run (three total) in five-plus innings. The teams are slated to play game three of the series at 2 p.m. Saturday.